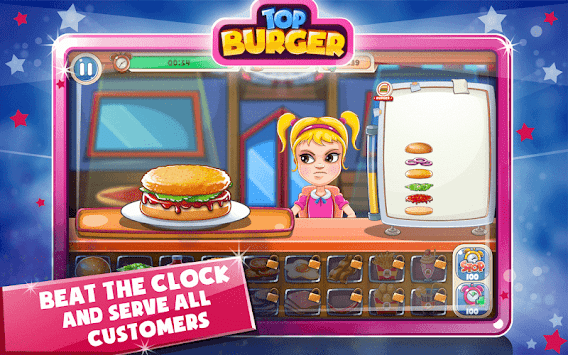 A burger-serving game is coming now for your best enjoyment in a free version with the Chupchup Kids Games touch! 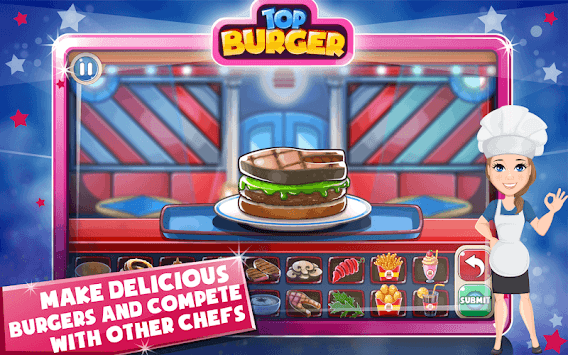 Burger Masterchef : Fast Food Shop : Cooking Craze is an exquisite burger making and selling game for all enthusiastic burger makers out there! Be the owner of your fast food restaurant and sell the most delicious burgers with fries to your hungry customers! Make your own burgers, but follow the customers’ orders carefully, in order to get the maximum number of coins and pass levels! Your burger diner is always full, so your burger making skills will be constantly tested! In the career mode, you can pass levels, earn coins and make your burger empire bigger until you reach the status of the top burger chef! In the time attack mode, you must beat the clock and make as many burgers in the given time. Finally, there’s a competition for the best burger maker and you are invited! Invent the coolest home-made burger recipe and present it to the judges! Burger making is fun, but can you be the best burger chef and win the first prize? 🍔 Many ingredients to choose from, just like in a real burger shop: bread, cheese, crispy burgers, chicken patties, lettuce, onions, pickles, even sausages and much more. 🍔 More than 180 levels for burger’s maniac, levels with increasing star super chef challenges! 🍔 Earn money to upgrade your kitchen and tools in this awesome cooking and time management game! 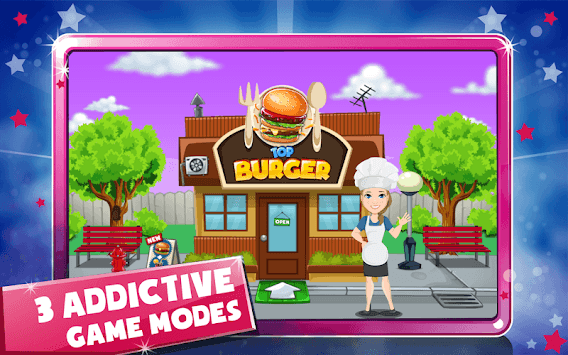 So come play "Burger Masterchef : Fast Food Shop : Cooking Craze" and become the master king of burgers!